Headaches maybe a common condition but you should never accept them as normal. Unfortunately many headaches sufferers put up with them or rely on popping pills. Taking drugs is only masking the symptoms and it is doing nothing for correcting the problem and giving you long term relief. Headaches typically involve any pain or discomfort felt in the head area. It may be a pain behind the eyes or it can be across the forehead. It can be both sides of the head or for others it may involve one side of the head. Some people will feel it start at the base of the skullarea. For some people they may feel that it is coming from the neck area and then spreading up to the head. Typically for most headache sufferers there likely there isn’t one single cause of your headache. Your headaches are probably coming from a combination of things, and the reason you haven’t found the relief you are looking for is because you are missing something. 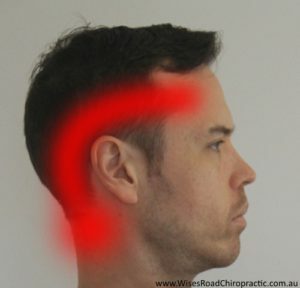 Most headache sufferers don’t realise how much their neck is contributing to the problem. Think about how your day is dominated by texting, internet surfing, long commutes and hours behind a desk. 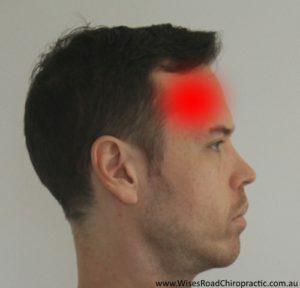 With these unnatural and sustained postures we put a tremendous amount of stress and tension on the muscles at the base of the skull and down the neck. The neck and upper back are commonly overlooked culprits causing your headaches. Ultimately, we would love the opportunity to help you find the headache relief you deserve. When you come in for your first appointment, you will have a consultation and exam with Dr. Leevi (Chiropractor) that is specifically designed to uncover the cause of your headaches. If we can help, we will recommend the most conservative and effective care for your unique situation.